Vladimir Putin and Dmitry Medvedev are poised to meet with top members of the United Russia party to negotiate Medvedev becoming the party’s leader in late May, a Russian business daily reported. 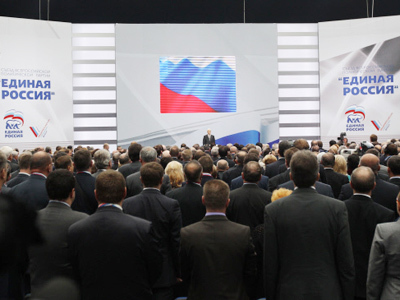 Vedomosti newspaper quoted two unnamed sources, presented as a United Russia party member and “a man close to the leaders of the All-Russian Popular Front” (a recent political project uniting those who share United Russia’s ideology but choose not to enter the party ranks).Both said that Putin will meet United Russia leaders on April 24 and suggested that the party’s convention in late May would elect Dmitry Medvedev as its new leader. 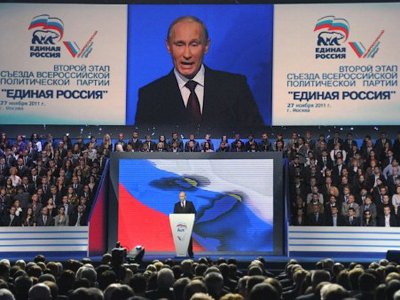 As a result, Putin and Medvedev will retain current networks of reception offices throughout the country – Medvedev as the new party leader would get Putin’s current network, and Putin will inherit the one that Medvedev currently has as President.Besides, one of the sources told the paper that Putin would retain control over United Russia through his presidential administration even after leaving the post of official party leader. 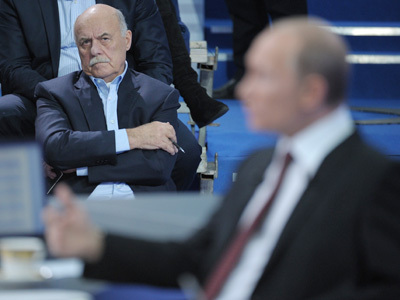 Putin’s press secretary Dmitry Peskov neither confirmed nor denied the information, saying only that the question of United Russia leadership can only be decided at the convention. 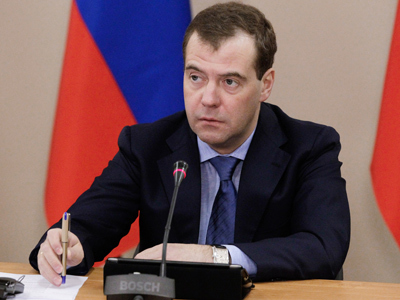 Many analysts suggested that Medvedev could become the new United Russia leader after an election convention of the party asked him to head its list for the 2011 parliamentary ballot after voting to support Putin in the 2012 presidential poll.